Under threat by so-called Islamic State, Iraq has become the first test case for Germany’s ambition to pursue more robust crisis management policies. It’s been a promising start. In the summer of 2014 Iraq was teetering on the brink of the abyss: a few hundred fighters from the so-called Islamic State (IS) launched an attack on Mosul in June, threatening even Baghdad. Their progress was halted when Iraq’s Grand Ayatollah Ali al-Sistani issued a fatwa calling on Iraqis to repel the invasion, but IS’s advance forced Western powers to confront the possibility of a permanent terrorist sanctuary in the Middle East. This raised the question of what could be done in response, with the United States withdrawing from nation-building, the UN reluctant to intervene, and NATO unable to work with the local Arab states. Between September and December 2014 a loose, US-led coalition of states – including 12 states from the Arab League – came together, united by their determination to confront IS. The US suggested that making post-conflict stabilization a focus of the discussion. Germany was quick to second the idea, and the first meeting of the Working Group on Stabilization took place in the Federal Foreign Office in Berlin on March 18, 2015, under the co-chairmanship of Germany and the United Arab Emirates. A number of factors prompted Germany to strengthen its international profile in the field of stabilization. One such factor was the Foreign Office’s internal “Review 2004” process, which argued that a more robust crisis management tool set was necessary to tackle multiple international crises. In early 2015, against this backdrop, Iraq quickly developed into the first major test of these nascent crisis management structures. In September 2014, after months of internal power struggles, Haider al-Abadi finally succeeded his party colleague Nouri al-Maliki as Iraq’s prime minister. His criticism of endemic corruption, his willingness to take greater account of Sunni interests, and his honest analysis of the causes of the collapse of the Iraqi army in the face of the IS attack on Mosul provided important points of departure for co-operation between the coalition and the new Iraqi government. Their shared objective was not only a military victory over IS, but also putting an end to support for the group once and for all. This goal, however, required both that Iraqis take ownership of stabilization efforts and that internally displaced persons (IDPs) – most of whom are Sunni – see the government as just and effective. Fortunately, progress has been made on both fronts. The creation of the Baghdad Stabilization Task Force in May 2015 proved decisive for bolstering Iraqi ownership of stabilization policies. The task force was led by Mahdi al-Allaq, then the prime minister’s chief of staff, with Germany representing the coalition. The task force brought three essential players together: the prime minister’s office; the governors of the provinces where military operations against IS were taking place, who play a key role in planning and implementing stabilization projects; and the international community, i.e., the United Nations Assistance Mission for Iraq and the member states of the coalition. The World Bank and the International Red Cross took part as observers. At the same time, around 900,000 IDPs have returned – an indication that stabilization policies in Iraq are meeting with some success. These policies were first put to the test in Tikrit: Saddam Hussein’s hometown in Saladin Province was liberated from IS in the spring of 2015, and to date more than 100,000 IDPs have returned, around ninety percent of the town’s former population. The two decisive factors were the deployment of Sunni forces in the city center to enforce local security and resolute action by the UNDP. Looking back, Tikrit was a good start, important politically as an initial success for the joint stabilization approach. Meanwhile, a number of challenges remain – in particular the damage already done to Iraqi cities, the dilemma of what to do with the Popular Mobilization Forces (PMF), and a lack of trust in government. The widespread destruction of Iraq’s cities and the use of improvised explosive devices (IEDs) delay the implementation of stabilization measures. This political and practical problem was first thrown into sharp relief in Ramadi in early summer 2016. Over a period of months the UN Mine Action Service, assisted by two private firms, carried out most of the clearance work. During this period more than one hundred Iraqis were killed while attempting to return to their booby-trapped homes. The PMF play an ambiguous role in Iraq. They are indispensable in the fight against IS because the regular security forces are weak; on the other hand, sectarian militia within the predominantly Shiite PMF are responsible for numerous serious human rights violations, especially against Sunni civilians. 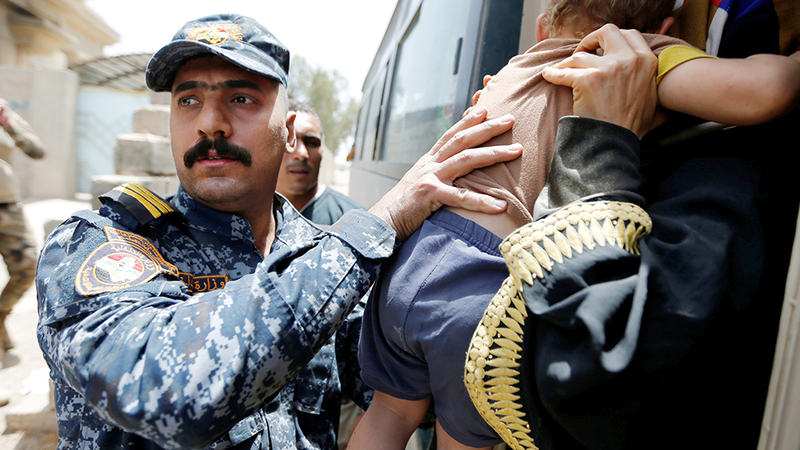 The government victory in Fallujah provides one example. Shortly before the offensive began, Prime Minister al-Abadi had personally appealed to his commanders to make protection of the civilian population their highest priority. This was supported by a plan of action that restricted the PMF to the outskirts of the city. In spite of these precautions, serious human rights violations took place in the course of the operation on July 1, 2016, near the village of Saqlawiyah outside Fallujah. At least fifty – and probably more – civilians were killed at the hands of the Hezbollah Brigades militia. The fact that members of the government investigation commission now fear for their lives speaks volumes about weak government authority. To be successful, stabilization requires all segments of society have a modicum of interest in reconciliation. Attempts by the government and civil institutions to encourage reconciliation “from the top down” have so far met with failure. Acts of vengeance in liberated areas still pose a serious problem, also with regard to the battle for Mosul that was still raging at the time of writing, and might even nip hopes of stabilization in the bud. The international community has been careful not to supplant the Iraqis, accepting limits to their role as an essential element of long-term progress. However, today’s judicious restraint will no doubt be met with accusations of lack of resolve should efforts fail. At the Warsaw Summit, NATO contemplated how to project stability. 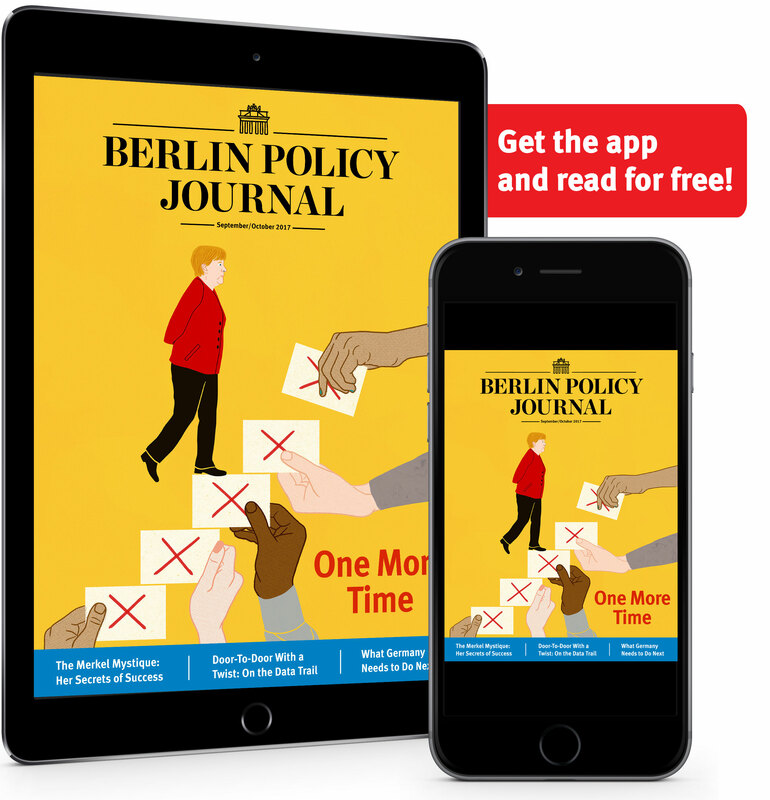 Germany’s new white paper on security policy attaches great importance to terrorism and fragile states as potential threats, and states far and wide are looking for ways to confront the challenge that crisis regions pose to the international order. 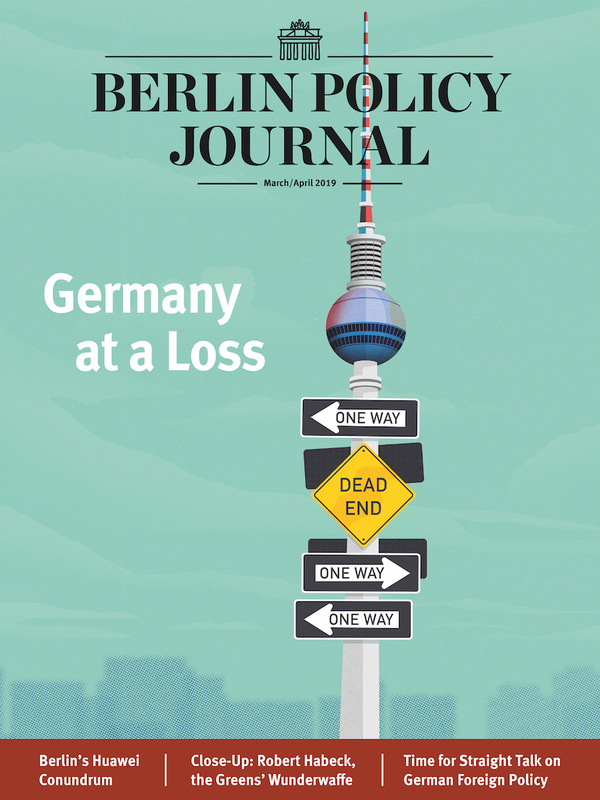 The twin crises unfolding in Syria and Iraq and political pressure from refugee migration in 2015 as well as the growing fear of terrorism in Europe made Germany a player in the field of international stabilization policy. The position of co-chair within the anti-IS coalition and the country’s sustained commitment to the stabilization of liberated territories in Iraq are visible evidence of Germany’s new role. In order to build on these promising beginnings, however, some important factors must be kept in mind. First, carefully thought-out stabilization policy has to take systemic restrictions and limited resources into account. The Iraqi experience demonstrates that Germany can make a successful contribution even with minimal staff on the ground. This requires close co-operation with the host country and the major players – in Iraq, the UN Assistance Mission in Iraq (UNAMI) and the US – as well as sustained support from the wider international community. Second, as the concept of stabilization policy begins to crystallize, close collaboration between all relevant areas of expertise – from civil-military co-ordination and collaboration on policing and the rule of law to humanitarian aid and development – is crucial. The protagonists must now learn to work together even more efficiently, both in the national and international arena. Third, effective implementation is the decisive measure of success. It is also the yardstick by which the German contribution to stabilization will be judged. The implementation agencies must adapt to changing international challenges and become more capable of action in a crisis. In this context, a clear lesson can be drawn from Iraq: German stabilization policy still relies almost exclusively on the local implementation capabilities of the UN. is Special Envoy for Crisis Prevention and Stabilization at the German Foreign Office. He previously served as German Ambassador to Iraq (2014-16). He is writing in a personal capacity.